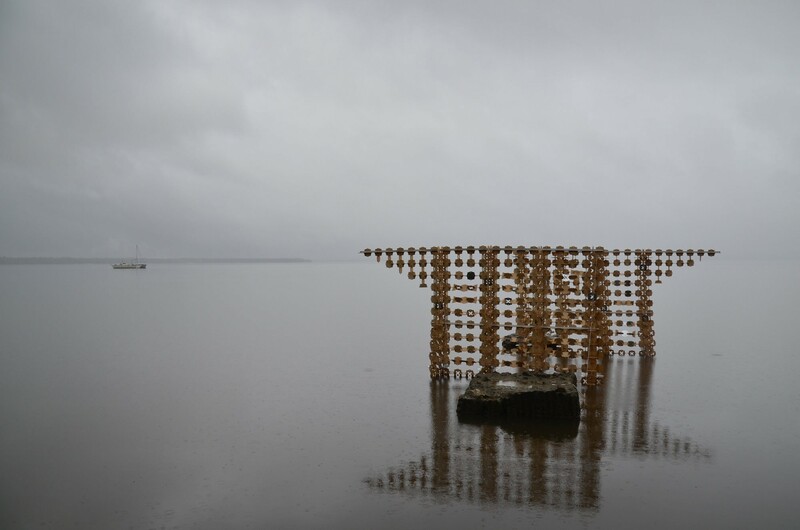 Through loosely connected sculptural constructs, ‘Growth’ is about orchestrating an experience for a way of viewing the landscape and a heightened awareness of the characteristics that create Place. 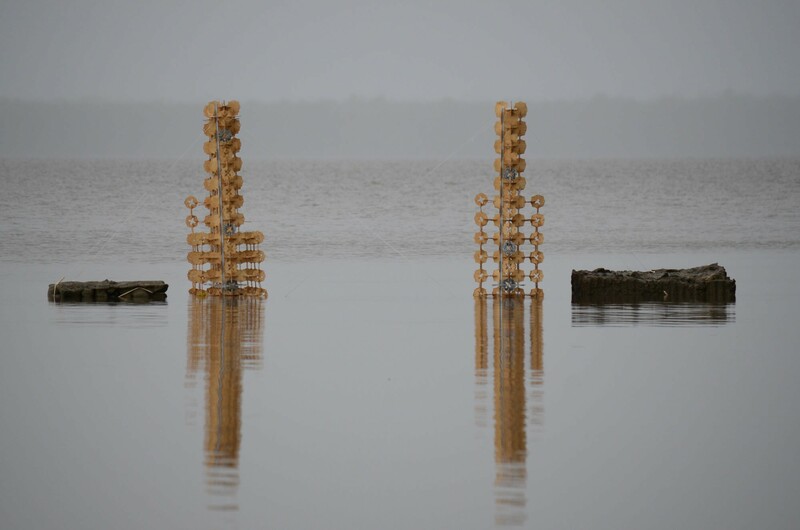 Growth is a green art installation piece designed for Floating Land 2013. 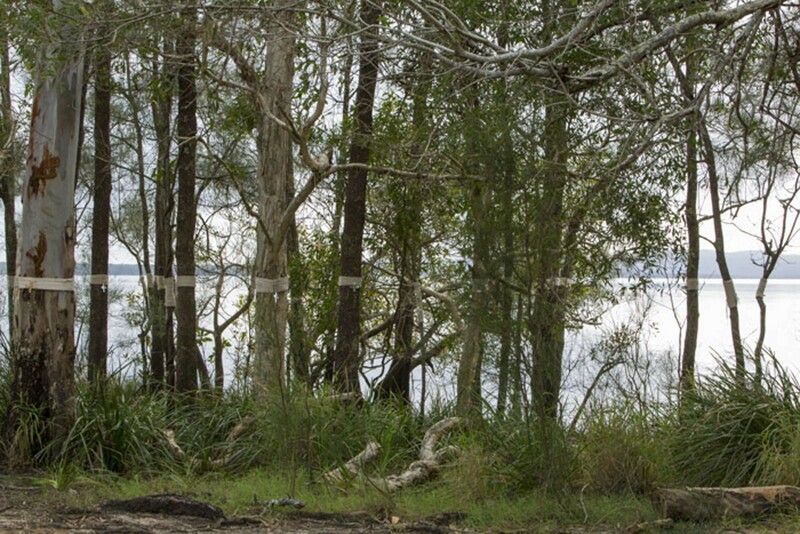 Our Bark Lab were chosen as lead artists for the 10 day biennial environmental art festival held on the Sunshine Coast, Queensland, that brings together international, national and local artists to explore environmental themes through art and dialogue. 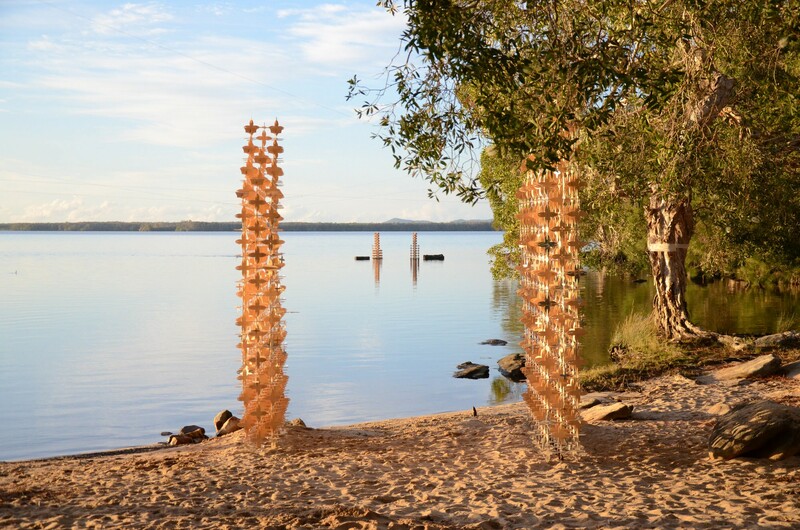 Collaborating with students from the UQ School of Architecture, Growth was inspired by the sunlight which provides ‘growth’ to nature, and through a series of physical constructs, it aimed to celebrate one’s experience of nature and provide an inextricable link to the landscape on the shores of Lake Cootharaba. From conception to installation, Growth provided the framework for making locally and was concurrently recorded and made public via social media globally. 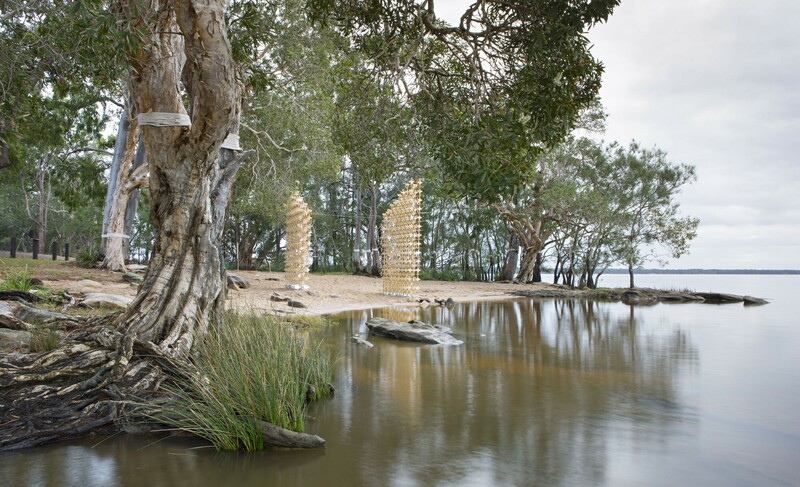 As an ephemeral sculpture Growth stretched across three complementary sites incorporating the bush, beach and water, with an axial relationship to Noosa Hill. Taking the motif of the Keys Boronia flower, which was once the logo for the Noosa Council as the key visual cue, the design was an economical, modular and repetitive use of sustainable components. 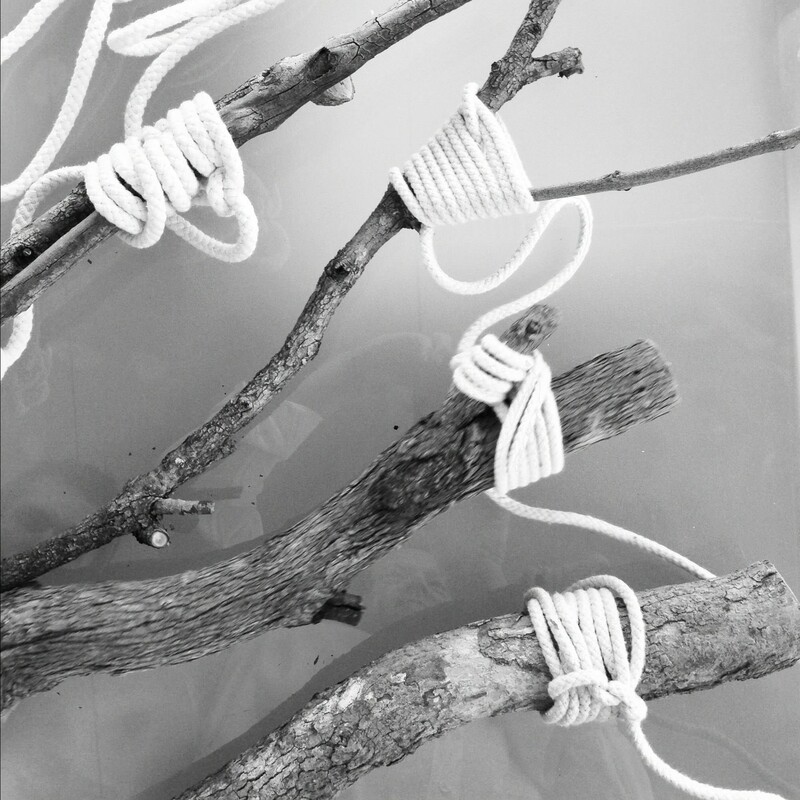 Using 3,000 plantation grown plywood pieces, recycled timber, natural cotton rope and found pieces, Growth engaged the audience to consider and look at the environment through a reconfigured frame of view. 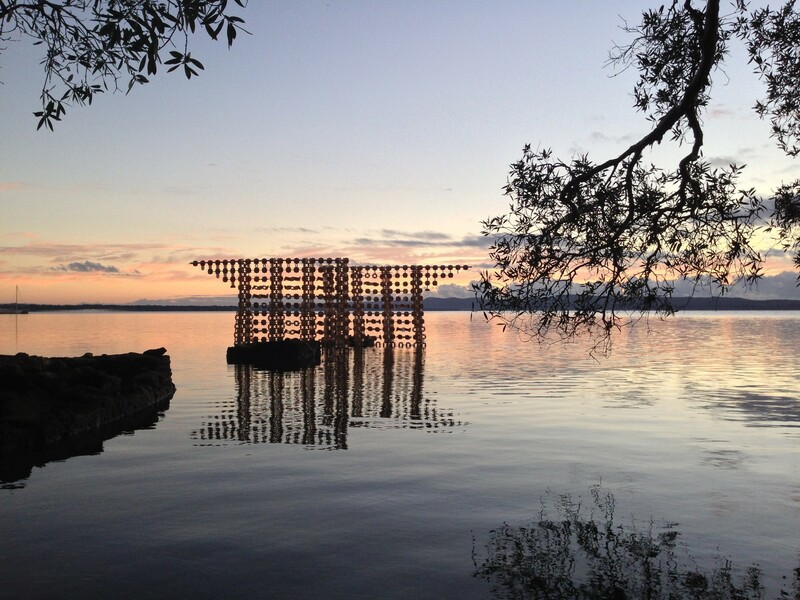 Growth has been a rewarding and parallel creative process to inform traditional architecture practice, and has literally grown from the initial installation on the shores of Lake Cootharaba at the biennial art festival to be reinstalled and exhibited at the Powerhouse Museum Sydney as part of the Ultimo Art and Science Festival, presented at Balance – Unbalance Conference 2013, then morphed into ‘Coral’ at Sculpture by the Sea 2013 in Bondi, Sydney. The process was well documented and enabled positive social media dialogue which extended the conversations beyond the physical site.